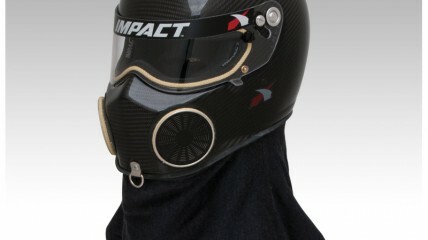 Our 100% Carbon Fiber NITRO helmet is specifically made with the Nitro and Alcohol Drag racer in mind. We know how bad the fumes can be in your cockpit and the Nitro has been engineered to alleviate those issues with its replaceable filter system and flexible bottled air intake port. 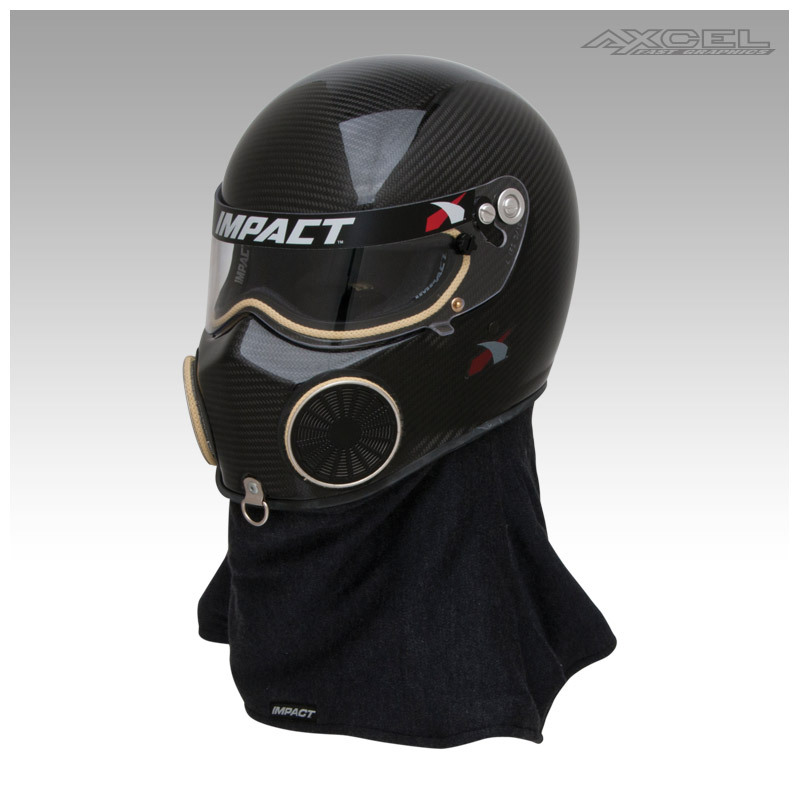 The built-in Nomex® skirt helps keep air inside the helmet clean and adds another facet of safety against flames and smoke and a braided kevlar gasket lines the eyeport for an even better seal. The Nitro has a built-in D-ring at the chin bar to keep your head restrained during those hard launches and also includes Impact’s fire-retardant, variable density, single-piece Gray Matter helmet liner, our standard eyeport with a three-position detent 1/8” polycarbonate shield, interchangeable sizing cheekpads and a fire-retardant Kevlar® chinstrap with dual D-Ring closure.